Being claircognizant, or having inner knowing, is one of the four major “clair” psychic abilities. Those with claircognizance know things — without a doubt — sans logic or reason (like that their BFF’s date was bad news, before he even showed up). If your gut instincts are so accurate they could land a plane, and your friends constantly use you as an “intention detector,” stick around for the full 411 on everything claircognizance! People with the psychic ability of claircognizance KNOW certain things… without logic or reason. If that’s you, you may know that you shouldn’t take your normal route to work (without turning on the news and seeing the major pileup), or know your daughter shouldn’t sleepover at her new friend’s house (without hearing the school talk that her mom is totally absent all the time). 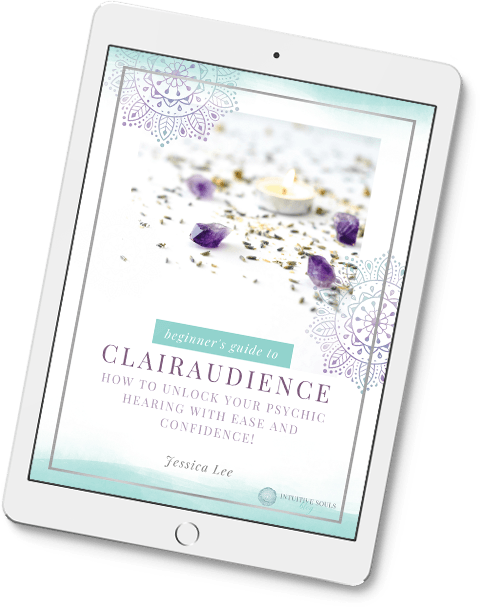 Much like clairvoyance (psychic seeing or “inner seeing”) or clairaudience (psychic hearing or “inner hearing”), claircognizance is only obvious to the person experiencing it. While you may know without a doubt that your new insurance sales guy is about to rip you off, your husband may be knee deep in sports talk with him, perplexed at why you’re tugging on his shirt to leave! Because claircognizance can also present as a “gut feeling”, it’s important to distinguish between it and clairsentience (“inner feeling”). Those with clairsentience can feel that insurance brokers dishonesty, and those with claircognizance just know he is dishonest. Basically, those with clairsentience FEEL things and therefore know them to be true, while claircognizant people KNOW things to be true – without logic, reason, or feeling. For example, your sister-in-law may get a scary diagnosis from the doctor, but you just KNOW she is going to be okay. Those with claircognizance may describe their inner knowing as a “gut feeling”. In part, this could be because it’s really tough to explain why you know something with no logical reason… but a gut feeling is something most people can grasp. But also, claircognizance messages do really feel like a gut feeling that come straight from your gut (or solar plexus)! When someone with psychic knowing is grabbing their keys to head off to work, they may immediately know that their normal route to the office is backed up. Most claircognizant messages seem “out of the blue”. Meaning, you probably were thinking about if you had time to stop by your favorite coffee spot on your way to work more than if there was an accident on the freeway. Check on the dog outside! Don’t let Suzie stay the night at her new friend’s house! Throw that leftover meatloaf out. Claircognizant impressions come while you’re doing something totally unrelated and interrupt your thought pattern. So, if you’re brushing your teeth and a thought about your BFF getting pregnant suddenly pops into your head… that’s claircognizance. Some people with claircognizance describe being woken out of a deep sleep with an “OMG… duh” solution to a problem. Whether the problem was a schedule conflict or world peace, claircognizant people get a deep sense of inner knowing that solves problems in insightful ways. They don’t always know how they know – but holy cow is the message is loud and clear! Fun fact: Other psychic abilities increase during sleep as well! When we sleep, our logical brain takes a vacation and we’re able to get in touch with our intuitive nature. When we’re not constantly questioning why we know that little Jake will develop a peanut allergy, we’re able to receive more (or clearer) messages. Where Does Psychic Claircognizance Come From? Let’s be honest… it may not sound like a load of fun to receive intuitive messages that you can’t explain to anyone. And it’s probably not great for your social life when you yell, STOP to someone who’s about to eat a sushi roll that you know is bad… (but they’ll thank you for it later). Claircognizant messages, like most intuitive messages, come from Spirit Guides, your spiritual team, or your Higher Self. None of those want your BFF to be in bed with mercury poisoning for weeks any more than you do! You also may notice that you’re receiving messages you’re not quite sure what to do with. So the roads are really bad right now… no one in your house was about to start driving! That’s okay. The good news is that you are receiving the claircognizant message. The meanings will come in time. Until then, trust that your claircognizance is only being used for your highest good. So, what do you think? Do you ever just know things, yet, you have no idea HOW you know? Here’s a few tattle-tail signs that you’re claircognizant. Maybe your superhero name is the HLD (Human Lie Detector), or maybe your friends always ask you to pop by and “screen” their dates. Either way, people with claircognizance have a nose for dishonesty (even when they have no proof). They can spot it a two miles away, wearing black, at night! Some people wake up from a dream craving the chocolate cake they were about to dig into. But if you wake up with now seemingly obvious solutions do your biggest problems, you may have the gift of inner knowing. When we sleep, our logical brain (the frontal lobe) takes a vacation. That allows intuitive messages to breakthrough and solve whatever has been plaguing you during the day. Tip: This is a great reason for a midday nap! Maybe you were heading to the frozen food section at Walmart when you got the urgent thought to, “check on grandpa”. You call, and he’s frantic. He can’t find his Rx anywhere! You race over to help, see his pup with a sorry look on his face, and get the feeling a trip to the vet is in order. That seemingly out of the blue and random message to check on grandpa was actually a claircognizance experience! If you get “out of the blue” messages that are so accurate they could land a boeing-747, it’s a neon sign that you’re claircognizant! If you receive intuitive messages in other ways, there’s a high chance that you are claircognizant! If you’re thinking it would be awesome to receive intuitive messages through inner knowing… you’d be right! In fact, claircognizance saved my husband and his co workers lives. Without logic, he just KNEW that everyone in the vehicle he was in needed to buckle up. Minutes later, their truck was struck with such force that the seat he was in broke in half! If you ask them to help you develop claircognizance (or any of the psychic abilities) they’ll happily oblige. Start with a simple meditation, and set the intention to connect with your Spirit Guides. During your meditation, ask your Guides for guidance on developing your inner knowing. Then, listen for the answer. If you really want to kick it up a notch, diffuse some essential oils while meditating. Try rose, cedarwood, or sage essential oil. And if you’re not ready for meditation, try one of these meditation alternatives. Honestly, one of the best ways to start developing your psychic abilities is to acknowledge that they exist! The next time that you feel like you’re having a claircognizant experience – go with it! Call your grandpa, veto your daughter’s sleepover plans, and toss out those leftovers. Learning to recognize when you’re receiving an intuitive message is a critical part of psychic development. In the beginning, your logical brain will want to come up with a million reasons why you needed to call your grandpa, but in time, you’ll begin to trust and rely on your inner knowing. “Automatic writing” is a fun way to brain dump and see what messages you’ve been receiving. Grab a pen (sparkly, optional) and pull out your notebook. Ask your Higher Self a question, and then write whatever comes to you — even if it sounds like gibberish! The first few times may clear out your subconscious and sound like a whole lotta nothin’. But after awhile, your claircognizance will kick in and tell you what your Higher Self wants you to know. I know, I sound like a broken record, but meditating works! And, while it’s important for all of psychic development, it’s especially important for claircognizance. Inner knowing requires that you are in tune with your brain. If your mind is like a jam packed freeway, and you’re chasing every thought in sight, it will be tough for you to recognize your intuitive messages. A quiet mind gives you the opportunity to notice claircognizant messages. During your meditation, try practicing visualizing! Option 1: Visualize yourself being super in-tune with your claircognizance. You know when your Rx is ready without them sending you a text, you know that your daughter needs some homework help without seeing her struggle, and you know that your husband is coming home early from work so you can make his favorite dinner. Imagine providing inner knowledge to everyone you love, and knowing things that continue to enrich your life. Option 2: Visualize opening your crown chakra (the one at the top of your head and most connected to the universe). Close your eyes, and bring your focus to the crown of your head. Imagine it opening up and receiving information from Spirit and the Universe. Picture your crown chakra wide open and spinning, like a pinwheel.